Good morning! It's time for another fun Rerun at Winnie and Walter! 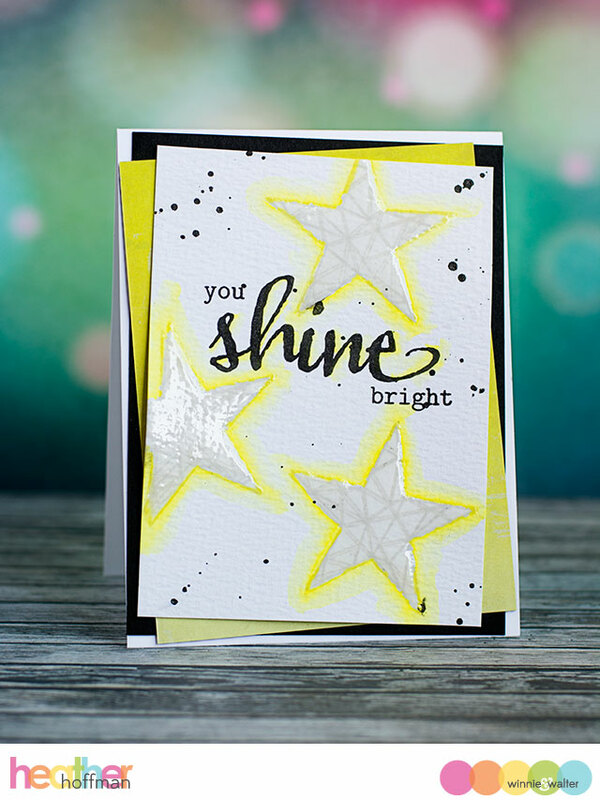 I made a super bright and happy card using this set, as well as the more recently released True stamp set. 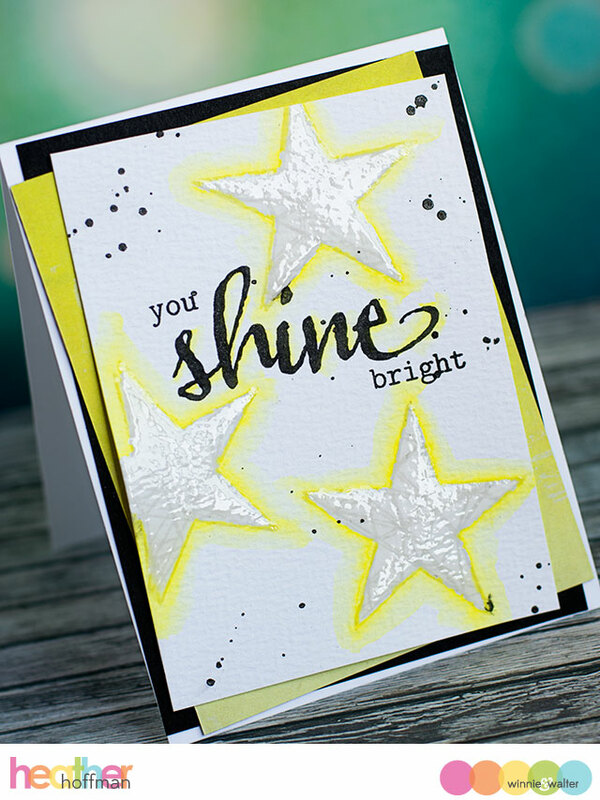 I stamped the sentiment on watercolor paper in black, then stamped the stars in gray dye ink - actually stamping them twice and just slightly offset for a bit of a double effect. Watercolored around the outside of them with my Zig Clean Color Brush pens, blending with a waterbrush, then covered the stars with Glossy Accents. Once that dried, I added some splatters of black Heidi Swapp Color Shine, then mounted at an angle with some pattern paper from Glitz Designs and black cardstock on a white cardbase. Make sure and stop over to the Winnie and Walter blog to check out more inspiration using this set, and find info more info on the Rerun feature and how you can play along!